Now that I caught your attention with some basketball lingo, I want to share about another annual event besides March Madness – though not as well-known unless you are a dietitian like me! March is National Nutrition Month® which started as a month-long campaign in 1980 – a “new kid on the court” compared to basketball tournaments dating back to March 1908! 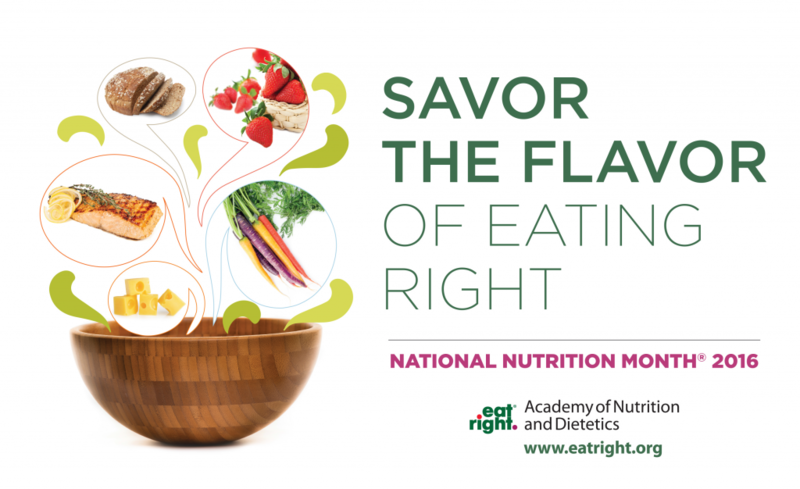 National Nutrition Month® is a time set aside by the Academy of Nutrition and Dietetics for nutrition education and information to draw awareness to the importance of making informed food choices and healthy eating and physical activity habits. The theme for this month’s campaign is “Savor the Flavor of Eating Right” which promotes taking time to enjoy food traditions, appreciating the pleasures, great flavors and social experiences food offers. Focus is on healthy eating patterns that include nutritious and flavorful foods. For additional nutrition resources, go to the Academy of Nutrition and Dietetics website. Here’s to embracing new flavors this month of Madness!